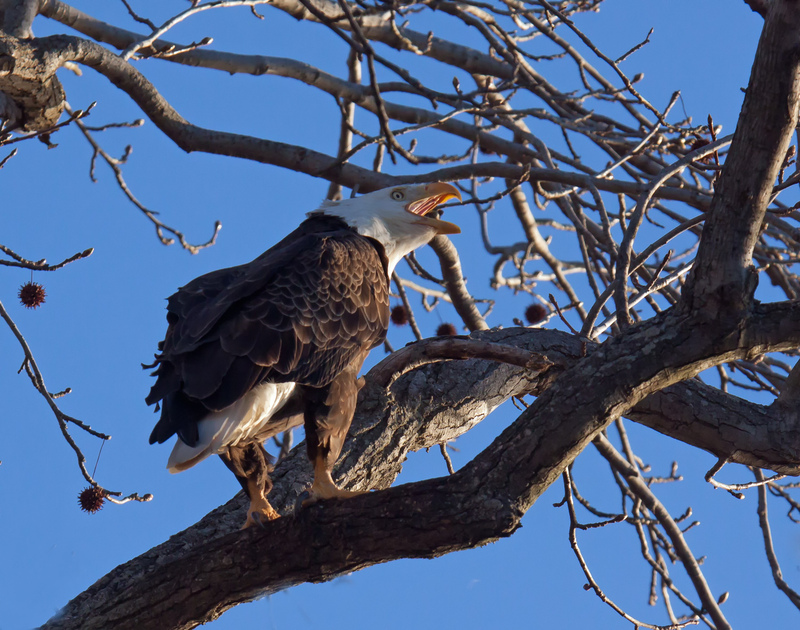 Do you ever feel the need to scream at the top of your lungs like this Bald Eagle (Haliaeetus leucocephalus) that I spotted on Saturday morning at Occoquan Bay National Wildlife Refuge? I think that most of us have moments in our lives when our emotions overwhelm us and we feel a need to vent. Why not scream? Wow! I can almost hear him from here. Get that boy some ice cream. Great capture! If this eagle was me, it would be yelling at its kids to get their shoes on and get out the door to school.